I’ve been ill with the first cold I’ve had in about two years, maybe longer. It was a stinker: constant sneezing, dripping nose, watering eyes. I was measuring out my life with soggy tissues. I’ve only just stopped feeling wretched. Somewhere in the foggy depths of my fuzziheadedness, I seem to recall receiving a very nice rejection letter from The Poetry Review, and mechanically sending the poems out again to another magazine, hardly minding at all that my work had been discarded. I think that Lemsip numbed the pain. 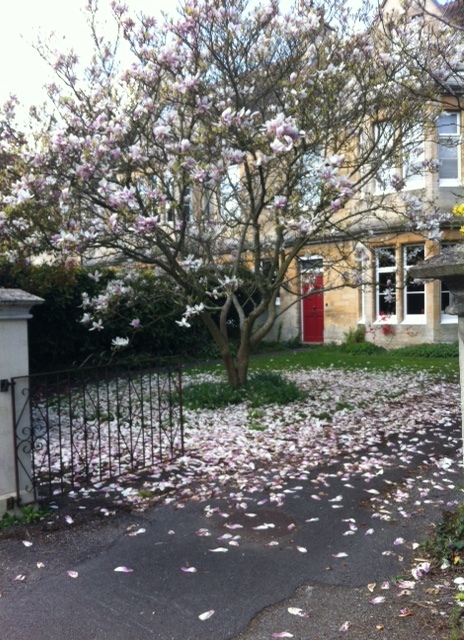 I also managed to send a poem off to The Bridport Prize, I dread to think of the germs I included in the envelope. I know it’s a longshot but I had a great day at the Prizegiving when I was one of the runners-up in 2010 (I wrote about that here by the way). So you’ll forgive me for not writing a very long post this week. 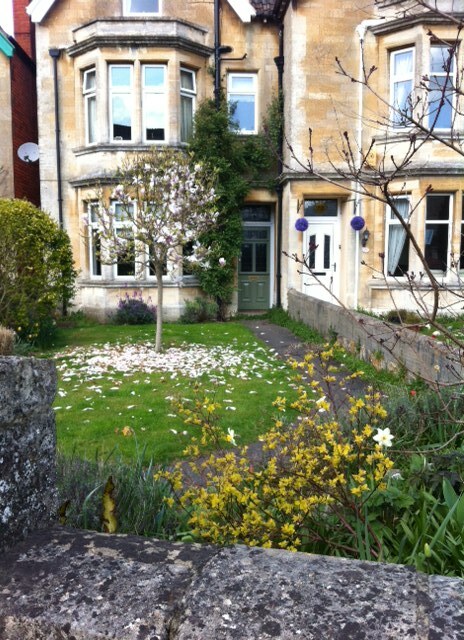 I’ve managed a few gentle walks and I’m loving the signs, smells and sounds of Spring, burgeoning in our neighbourhood. 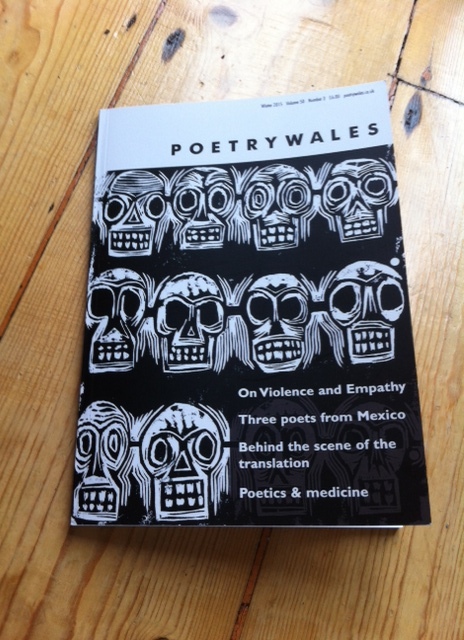 But, before I go, I must mention my new favourite poetry magazine, Poetry Wales, which I’ve just started subscribing to. It’s full of really good poems and reviews; there’s an intelligent and sensitive editorial by Nia Davies, interesting artwork by John Abell, and articles about poetic influence by Meirion Jordan and Dai George. Included in this issue are a selection of powerful poems by Mexcian writers Luis Felipe Fabre, Julián Herbert and Fabio Morábito, introduced and translated by Richard Gwyn. Gwyn’s introduction gives an account of the disturbing violence that has been happening in Mexico in recent decades, relating to drug cartels and political corruption. There are too many good poems to select a favourite but I’ll include a few lines from some of the poems that especially appealed to me after first reading. A couple of quirky poems about fridges (!) by Ian McEwen delighted me. Here are a few lines from ‘The Fairytale of white goods’. that’s built around white goods. a genie happy with slick walls. And, finally, the opening lines from John McCullough’s ‘Lava Lamp’. What an original idea for a poem! and indelible, more and less real. That’s all for now. Wishing everyone a germ-free week. Sorry to hear you’ve been so under the weather. Hope you’re on the mend now, and thanks for the tip about Poetry Wales. One for me to check out next time I’m in the Poetry Library. I think you’ll like it, Hilaire. Brilliant to read some strong political poems, too.